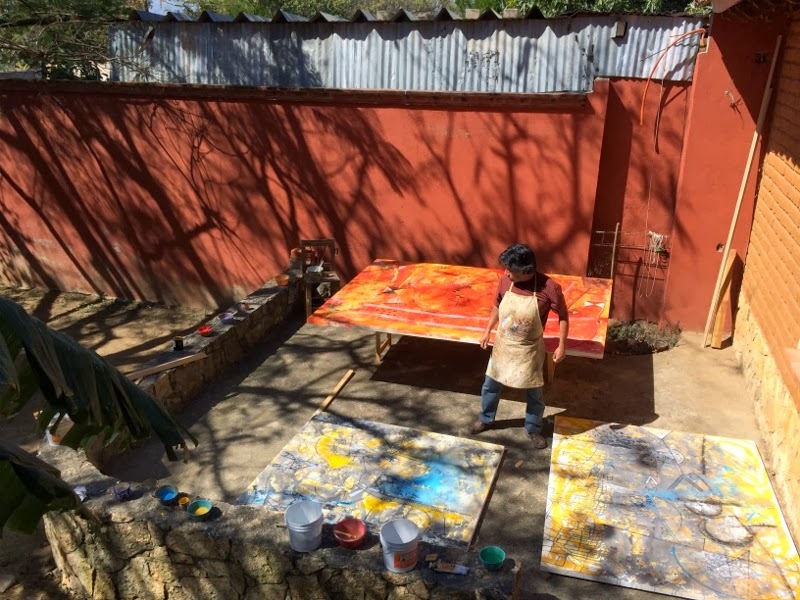 Trained as a print maker, Lazo works predominately with acrylics on canvas in his studios in Seattle and Oaxaca, Mexico. He has had over 40 solo shows throughout the US, Mexico, Japan and France, and has numerous pieces in public collections. He enjoys making installations for Day of the Dead at many Seattle area museums, schools and community centers. 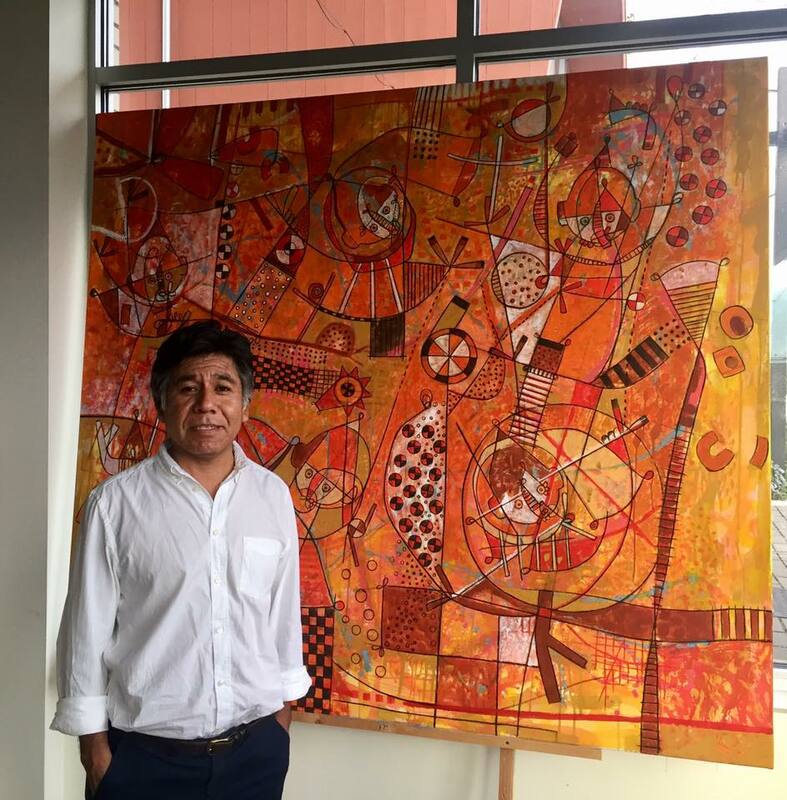 Trained as a print maker, Lazo works predominately with acrylics on canvas in his studios in Seattle and Oaxaca, Mexico. 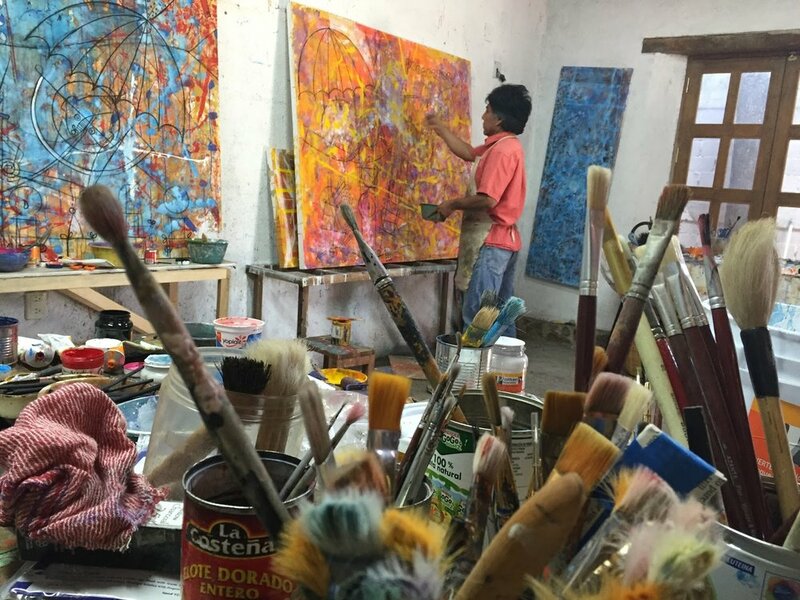 He has had over 40 solo shows throughout the US, Mexico, Japan and France, and has numerous pieces in public collections. He enjoys making installations for Day of the Dead at many Seattle area museums, schools and community centers.